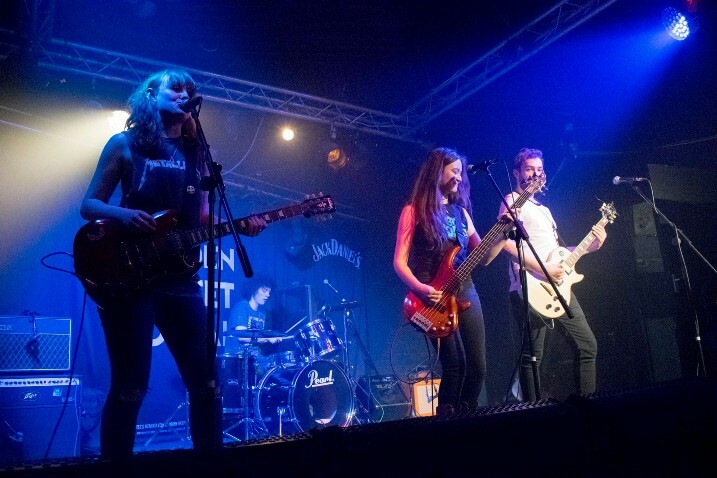 BRIAN is a four-piece, female fronted hard/alternative rock band, based in Leicester. They came together at De Montfort University’s Music Society, to perform at the 2017/18 Varsity event against University of Leicester. That year, they won best band. A year later and they are still performing around the Leicester area across many venues, as well as playing Varsity for a second year running. BRIAN always enjoy getting involved with their audience and have a contagious amount of fun performing together. Taking inspiration from bands from a huge variety of bands, such as Frank Carter and the Rattlesnakes, Foo Fighters, Billy Talent, Nova Twins and Marmozets, you’re guaranteed a night of headbanging and moshing!